The successful candidates will demonstrate ​support for diversity, equity and inclusiveness as well as participate in ​maintaining a respectful, positive work environment. 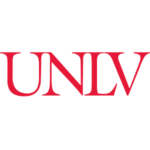 The Department of Educational Psychology and Higher Education at the University of Nevada, Las Vegas seeks two tenure-track faculty to join the Educational Psychology program and/or the Learning Sciences program. The individuals hired will collectively represent expertise and skills outlined in the qualifications section of this announcement. The individuals hired will be expected to teach graduate level courses in their areas of expertise/specialization. The individuals hired will also be expected to teach existing courses in intermediate and advanced statistics, cognition and learning, or self-regulated learning. In addition, the selected candidates will be expected to advise students, conduct research and publish in scholarly journals, seek and obtain external funding, and perform university and national/international service. We are particularly interested in individuals who will contribute to the University’s developing campus-wide initiatives surrounding the application of learning analytics to improve college student success. These positions require an earned doctorate in Educational Psychology, the Learning Sciences, or a related field from a regionally accredited college or university. Preference will be given to candidates with research programs in one or more of the following areas: (a) learning analytics; (b) cognition and learning, technology, metacognition, self-regulated learning, or motivation; or (c) advanced quantitative statistical modeling or other areas of educational statistics. Experience working in STEM (Science, Technology, Engineering, and Mathematics) fields or conducting research on success in STEM is desirable. Additional desirable qualifications include strong quantitative skills applied to working with large databases and/or the design of online or face-to-face learning environments that are responsive to learner needs. A history of successful collaborative partnerships related to the application of foundational knowledge to improve educational systems or interest in contributing to applied partnerships is desired. Applicants should demonstrate a successful record of publication in top journals in their respective fields. A record of securing extramural grant funding is desirable. Those interested will learn more—and find application instructions – here. To apply for this job please visit edpsychjobs.info.